Riz MC in a still from the video for ‘Englistan’, the title track from his new mix-tape. On Cleopatra, the opening track of his new album Kites, Anik Khan sings to the woman in his life. It’s an entreaty; a promise to treat her like royalty if she tells him she loves him and makes sure she means it. The song samples Lata Mangeshkar’s Jiya Jale from Mani Ratnam’s 1998 film Dil Se, and references the Taj Mahal and pharaohs, as Khan, a rapper born in Bangladesh but raised in Queens, New York, croons in a melodic style that has become his calling card. Kites is making waves, especially on the American east coast’s hip hop scene, but also outside it, and reviewers and critics are taking notice of this 27-year-old new sensation. Khan’s father, who took part in the Bangladesh liberation war, gave up a fairly comfortable lifestyle in Dhaka to move to New York when his son was barely 4 and worked as a cab driver in the hope that he could ensure a better life for his children. Khan, who grew up at the seemingly incongruous intersection of two hugely dissimilar cultures—Bengali at home and hip hop on the streets of Astoria—is what I’d call a rapper with the subcontinental touch. As are Himanshu “Heems" Suri and Rizwan “Riz MC" Ahmed. Heems, 32, was born in Queens to Punjabi immigrants from India, and is an economics graduate from Wesleyan University who did a stint on Wall Street before becoming a full-time rapper, producer and record-label owner. Heems formed the group Das Racist with two other musicians—Ashok Kondabolu and Victor “Kool AD" Vazquez—and in 2008 they found instant internet fame with a funny but very catchy song, Combination Pizza Hut And Taco Bell, that went viral. 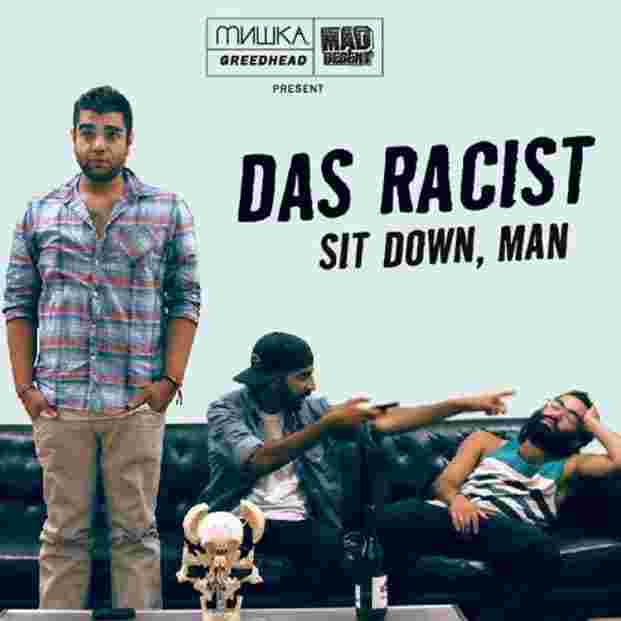 Later Das Racist dropped mixtapes with songs that highlighted the discrimination, racial profiling and identity issues that South Asian immigrants have to deal with. But Das Racist’s songs are laden with humour, literary and scholarly references, and commentaries on the very culture of hip hop, earning them the label of “alternative hip hop". After Das Racist broke up a few years ago, Heems went solo, founded Greedhead, a record label, and most recently has collaborated with Riz MC. Born to Pakistani immigrants from Karachi who came to London, Riz, 34, is the more famous of the two. An actor, activist and musician, he was featured in Time magazine’s 100 Most Influential People list this year, with a lovely tribute penned by hit musical Hamilton’s creator Lin-Manuel Miranda. Disclaimer: Riz stars in the Immigrants (We Get The Job Done) video, a part of Miranda’s Hamilton Mixtape project. Heems and Riz’s new project, Swet Shop Boys, released Cashmere, a full-length album, last year. The album opens with the explosive T5 (a reference to Heathrow’s terminal) and the duo kick off with: Inshallah, mashallah/ Hopefully, no martial law/ Hai Allah, yo yallah/ Let’s rock a show in Ramallah/ Kick it with my homie when I’m out in Haifa/ Kick it with Muhammad when I’m out in Jaffa. Edgy activism marks the songs on Cashmere, with the duo highlighting issues concerning social justice, immigrant life and travails. T5 is actually about the travails of air travel and profiling (Oh, no! We’re in trouble/ TSA always wanna burst my bubble / Always get a random check when I rock the stubble). Cashmere is about existentialism, religion, politics and identity. On Half Moghul, Half Mowgli, the two sing about the contradictions between their subcontinental culture and their fame in the Western world. But there are love songs too. On Aaja, Pakistani singer Ali Sethi makes a guest appearance, opening the song with: Aaja, O mere jaan aaja/ O mere mehboob aaja/ O mera dil hai pyaasa. Then Riz raps: I push the seats in my car back/ Polish girl check that slavak/ You’re sweet like baklava/ You know I’m hot as benny lava/ And if them mandem intervene/ Then I’ll go get the balaclava. “Mandem", as I learnt, by the way, is street slang for a group of men or boys. Khan, Heems and Riz are at the forefront of a subgenre of hip hop, one that stands apart from the mainstream’s gangs, thugs and drugs idiom and is rapidly creating a niche for itself. Critical acclaim for Khan’s Kites—the title song compares life as a South Asian immigrant to that of a kite flying in the sky—has been pouring in, not least because of the music that he employs. Khan uses a lot of guitar arrangements that are uncommon in mainstream hip hop and while his singing involves the street patois of Queens, he’s also a gifted and melodic singer. As a teenager, he would sing along while listening to Jay-Z’s albums, a contrast to his father’s poetry and the Bengali music that was de rigueur at home. Heems and Riz’s project has greater heft and is more steeped in political activism than Khan’s, perhaps because of the status of the two collaborators—both have gained fame and reputation, and have multiple projects under their belt. But the common influence running through the music of the three has much to do with their origins—the three nations that make up the subcontinent, India, Pakistan and Bangladesh. First Beat is a weekly column on what’s new and groovy in the world of music.